Double Acting Air-Steam Hammers differ from single acting hammers because they apply steam or air pressure to the top of the piston upon upstroke valve turnover, enabling the stroke to be shorter. This makes a higher blow rate possible, which is advantageous in some situations. The models offered vary in size from the 30C, which has a rated striking energy of 7,260 ft lbs (9.8 kj) to our 80C hammer, which has a rated striking energy of 24,450 ft lbs (33.1 kJ). Differential Acting Air-Steam Hammers have similar operating characteristics as the double acting hammers. These hammers have a simpler valve configuration, and the air or steam is constantly pressurized under the piston. The DGH series hammers are differential acting hammers. 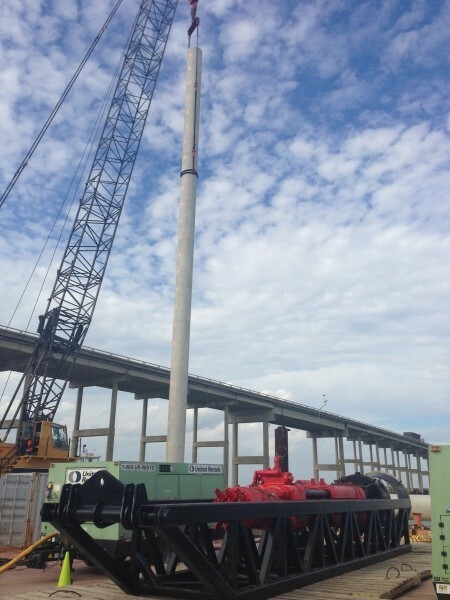 They range in sizes from the model 100-D, with a rated striking energy of 386 ft lbs (0.52 kj), to the model 900-A, with a rated striking energy of 4,000 ft lbs (5.42 kj). Single acting hammers are by far the more common in use, having proven their driving abilities with many platforms in all parts of the world. 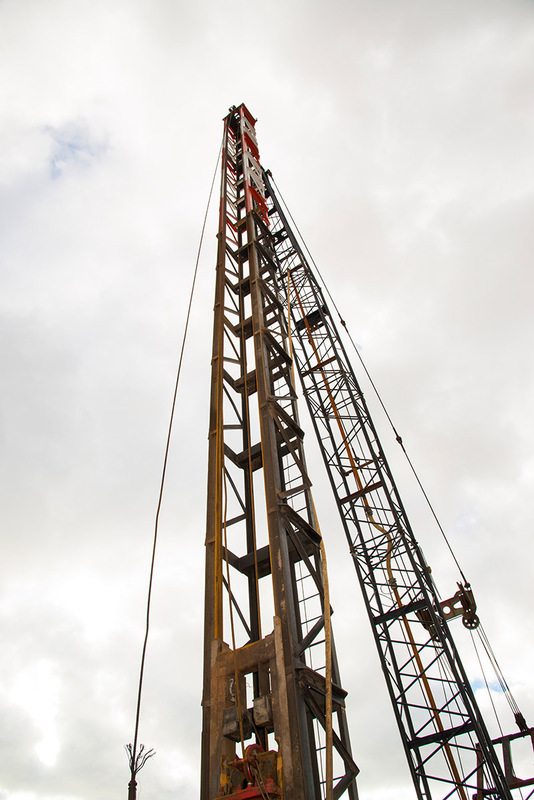 There are many models available, from the #3 which has a rated striking energy of 6,300 ft lbs (8.5 kj) to our 6300 hammer, the largest air-steam hammer in the world, which has a rated striking energy of 1,800,000 ft lbs (2446 kJ). The key to successful hammer operation in proper preparation on deck. Here, the pile in laying on deck with the lifting bale turned up waiting to be connected to the crane to be lifted. The hammer is lifted slowly off of the deck. 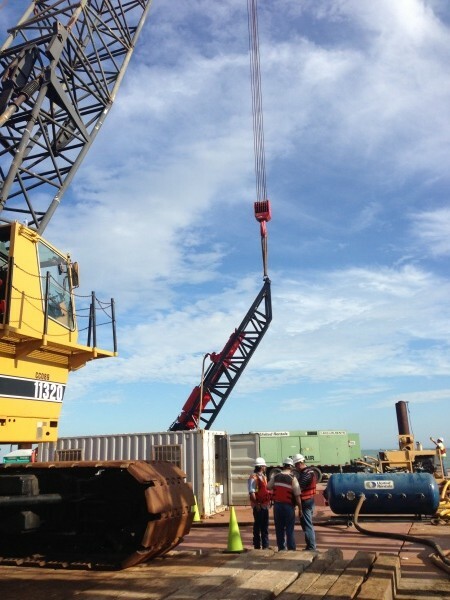 As is the case with any heavy lift operation, safety is first to insure a successful lift. 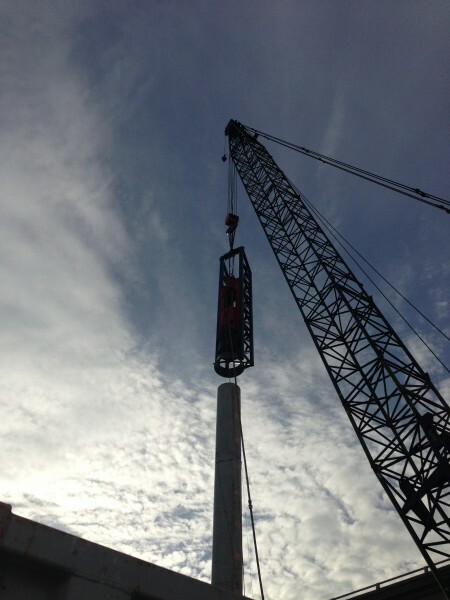 The hammer is vertical. 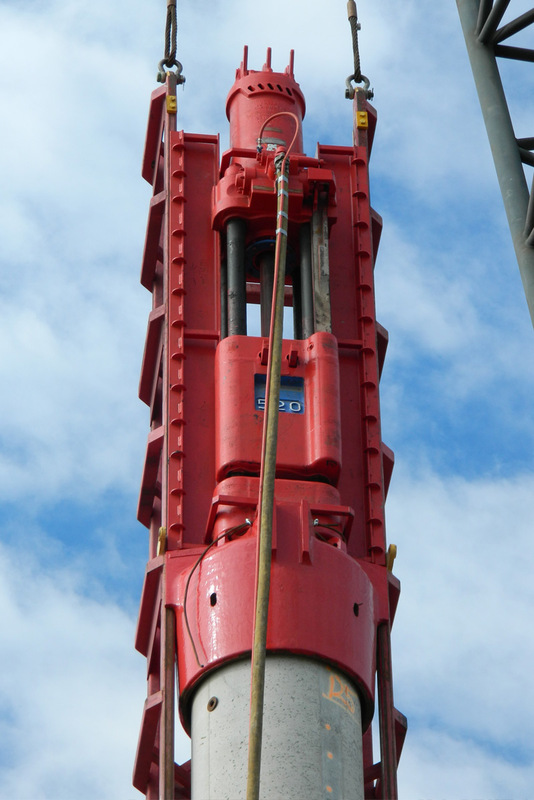 The stabbing bell at the bottom of the hammer has a ring at the bottom to enable the crane operator to stand the hammer and leaders up vertically before lifting the assembly off of the deck. 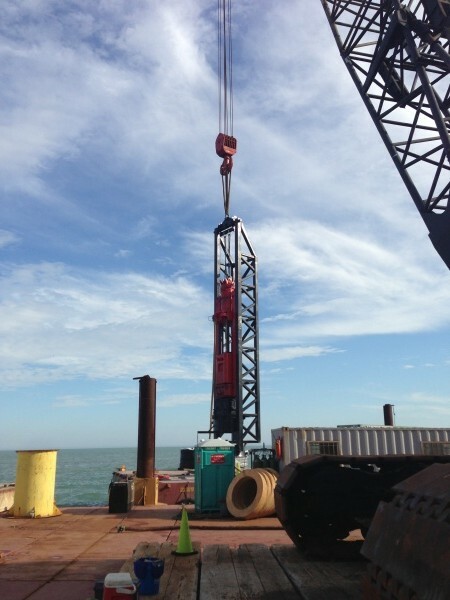 The crane operator then positions the hammer over the pile and, lowers it and seats the cylinder pile cap firmly on the pile. The tapered stabbing bell facilitates alignment between hammer and pile, even on batter.